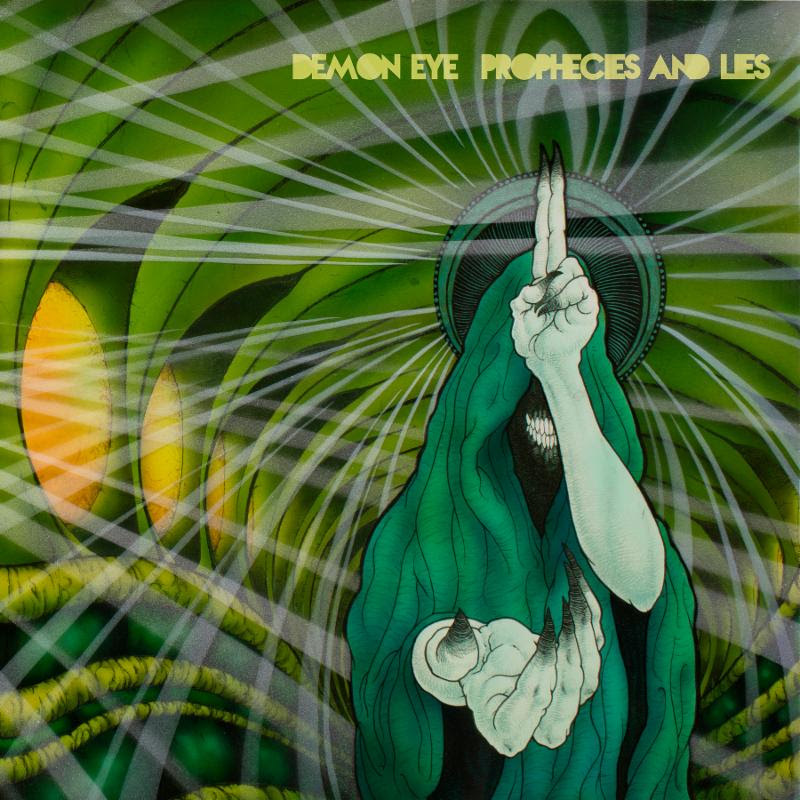 North Carolina-based DEMON EYE will unleash their third full-length, Prophecies And Lies, via Soulseller Records later this summer. A monolithic display of mighty riffs, haunting melodies, and fist-raising anthems, the eleven-track burner was recorded by Corrosion Of Conformity’s Mike Dean in the band’s hometown of Raleigh and finds their fiery fusion of heavy classic rock, proto metal, and traditional doom at its most intense to date. DEMON EYE conjures vintage, heavy darkness for modern-day evils. In related news, DEMON EYE will play this year’s edition of the Maryland Doom Fest alongside Captain Beyond, Lo-Pan, Brimstone Coven and more. The band will also play a record release show in August with Captain Beyond with additional live performances to be announced in the weeks to come. DEMON EYE was unearthed in Raleigh, North Carolina during the Spring of 2012. Shortly thereafter, the band began receiving international recognition for their highly acclaimed songcraft and stunning live performances. DEMON EYE channels the introspective darkness of Pentagram, the heavy grooves of Black Sabbath, and the fist-banging shred of early Iron Maiden. They have shared the stage with the likes of Pentagram, Corrosion Of Conformity, High On Fire, Spirit Caravan, The Obsessed, The Sword, King’s X, Loincloth, YOB, Witch Mountain, Lord Dying, and many more of their heavy brethren. This entry was posted on June 22, 2017 at 6:31 pm and is filed under Hard Rock, Heavy Metal, Metal, Music, news, rock music, world news with tags demon eye, Heavy Metal, metal albums 2017, metal odyssey. You can follow any responses to this entry through the RSS 2.0 feed. You can leave a response, or trackback from your own site.